Users of Dwolla’s money-moving service began receiving this message as of Tuesday afternoon, first posted on Twitter by OkCupid cofounder Chris Coyne and reported upon by Betabeat. The Department Of Homeland Security appears to have shut down the ability to use Dwolla, a mobile payment service, to withdraw and deposit money into Mt. 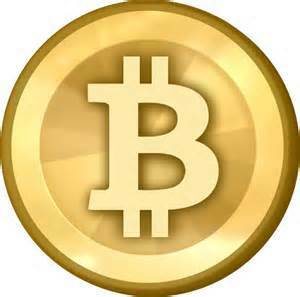 Gox, a Bitcoin trading platform. A Dwolla representative confirmed the move to Betabeat. Chris Coyne, cofounder of OKCupid, posted a screenshot of an email he received from Dwolla, stating that due to recent orders from the Department of Homeland Security, Dwolla cannot complete the bank transfer to Mt. Gox. A representative for Dwolla told Betabeat that the company is “not party” to this matter and encourages those with questions to reach out to Mt. Gox or the DHS. “Dwolla requires a court order before honoring requests such as seizing funds or revoking access to an account,” he added. Critical Reads: More News Mainstream Media Chooses To Ignore By Josey Wales, Click Here! Thank you for the email. We can see that the Dwolla transactions are not getting processed right now. We will contact Dwolla and post an announcement regarding this. Your patience is appreciated till then. Like many who have contacted us, MtGox has read on the Internet that the United States Department of Homeland Security had a court order and/or warrant issued from the United States District Court in Maryland which it served upon the Dwolla mobile payment service with respect to accounts used for trading with MtGox. We take this information seriously. However, as of this time we have not been provided with a copy of the court order and/or warrant, and do not know its scope and/or the reasons for its issuance. MtGox is investigating and will provide further reports when additional information becomes known.